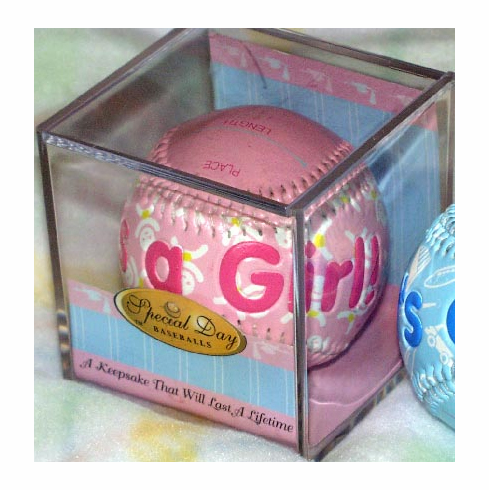 Help the newborn in your life remember his or her birthday with one of these new baby baseballs. Fill in the stats (Name, Date, Weight, Place, Length & Time) and have everyone sign�don�t forget the doctor. A perfect gift for baby showers and birth announcements...a keepsake that will last a lifetime. Acrylic ball cube included. Very Limited Quantities...blue is SOLD OUT!